Gale Wick has been volunteering for the Red Cross for over 58 years. He is currently retired and lives with his wife in Wenatchee. Gale grew up in Montana and began helping others back in the 1960’s during an ice storm. His family lived near a mountain pass and the Red Cross used their barn for a shelter during the storm. This helped him recognize his love of helping others and he quickly pursed Advanced First Aid, Water Safety and Lifeguard certification and began teaching classes. While in stationed in Italy for the Army, Gale helped reduce civilian drownings near his base by teaching classes to insure water safety and helped the military contact families. 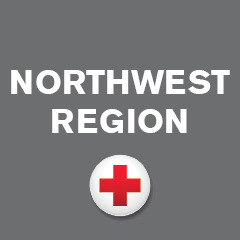 After landing back in the Northwest in the early 70’s Gale continued his involvement with the Red Cross working in numerous leadership roles at the state, regional and local levels. Most recently Gale is a board member and community volunteer, for the Greater Inland Northwest helping with disaster relief, fundraising and the dispatching of volunteers. Clearly, volunteering is a big part of Gale’s life and he couldn’t imagine life without volunteering. He would tell others that the Red Cross volunteers are amazing and the work is rewarding. Click here and apply to become a Red Cross volunteer!